The Sandberg California VM5 RW Cream High-Gloss is a 5-string bass with versatile sounds and a vintage touch from the master luthiers in Braunschweig. 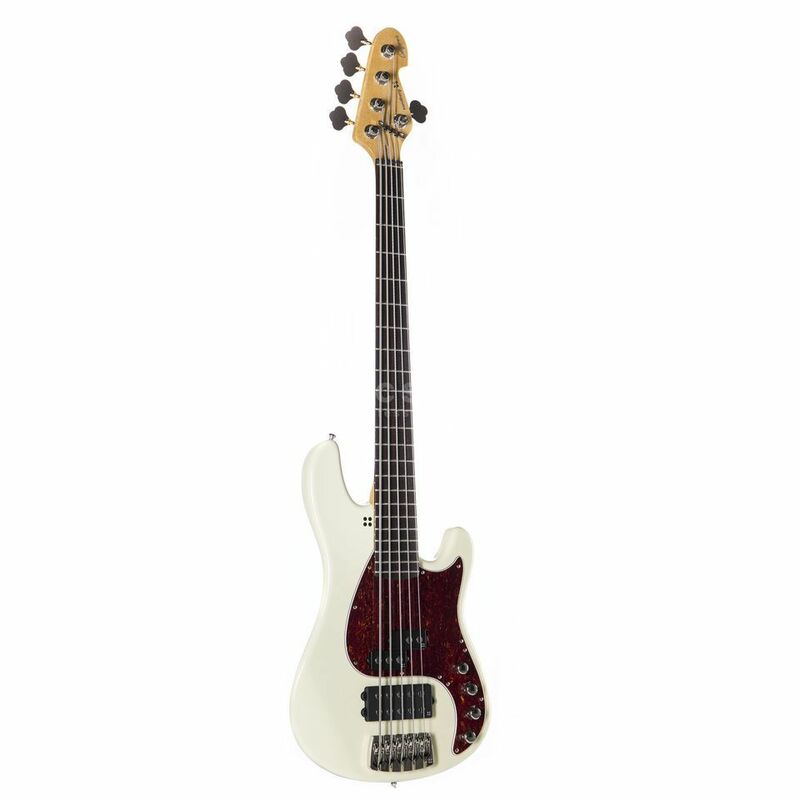 The Sandberg California VM5 RW Cream High-Gloss is built from quality alder, a maple neck is attached with six bolts and crowned with a rosewood fingerboard making a fat primary sound for any style with snappy attack and rich sustain from the lowest note to the highest. The comfortable “C” profile neck ensures easy and accurate playing for hours on end. Sandberg designed pick-ups were chosen for their versatile sound spectrum and precision. The close-mount Sandberg active humbucker has rich low-end and mids. The Sandberg split coil has a fat pronounced low end, growling mids and natural compression due to the large poles used. A two band EQ is also on hand to help you sculpt the tone to your liking. High-quality hardware is a given when you purchase a Sandberg instrument and the California TM5 Lake Placid Blue High Gloss is no exception. The bridge is a Sandberg Bridge 5 whose solid construction gives an even sound to all five strings. All this is topped off with tough waring Sandberg Machine Heads.